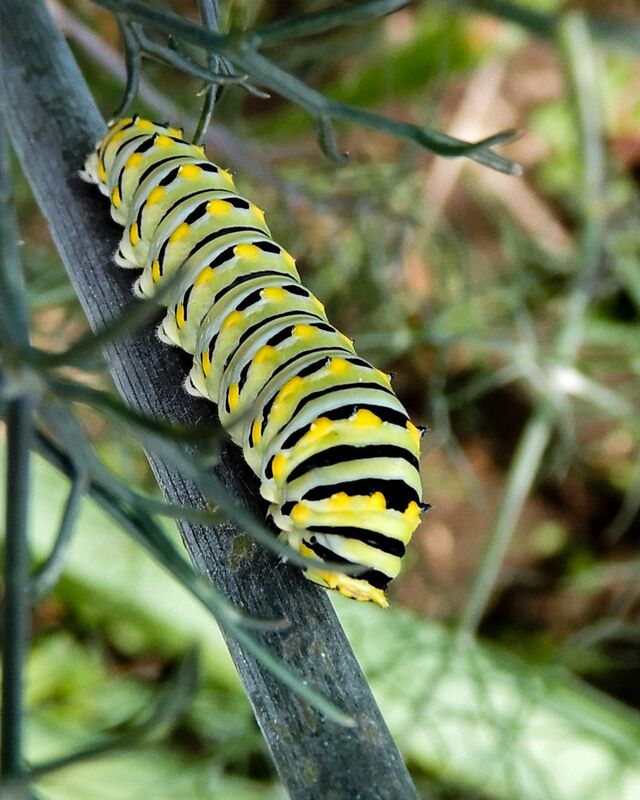 A caterpillar creeps down a plant's stem. Was just outside at a Bed and Breakfast taking garden shots when I spotted this little creature. Date Uploaded: Nov. 12, 2018, 2:51 p.m.